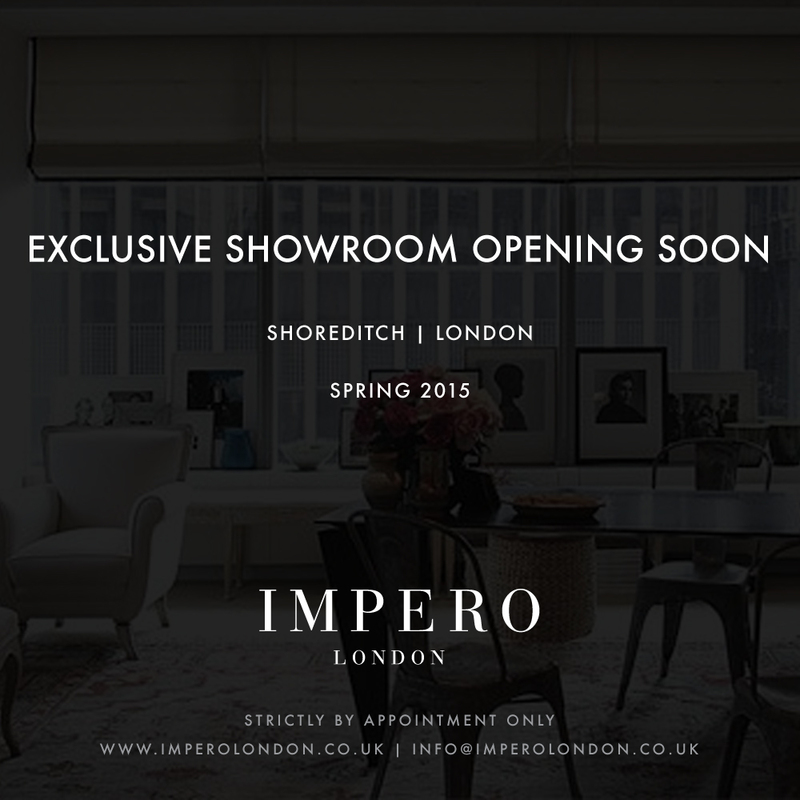 Impero London is bringing to you a new one of a kind concept leather atelier at London’s trendiest destination. The new showroom will bring to life a variety of new projects by making the most of our skills and knowledge to create highly desirable pieces. Displaying the widest variety of leather, hides, sheepskins and exotic skins as well as our expertise, we will be at hand to inspire our clients with our imaginative finishes and techniques. Cut from a personal pattern, pieced together at the atelier and fitted until the client deem it perfect, our bespoke service is a unique, made in London, garment that, while always be flattering, will naturally reveal something of the character of its owner. Our natural intuition and nous for business has propelled us into exciting new product lines. Although our reputation has been built in the fashion industry, the new showroom will be open to interior designers looking for luxurious custom-made leather interior finishes, furniture and furnishings as well as bespoke leather accessories. The showroom will be open on a by appointment only basis, this enables us to dedicate our undivided time and attention to detail. We believe that luxury is not defined by a simple measure of affluence, but by the ability to deliver a product that is truly unique and fully bespoke. 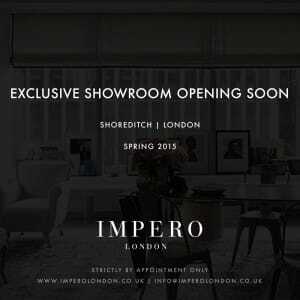 Impero London was founded in Shoreditch, which is at the forefront of art & culture, the weird and wonderful (that’s why we are here) hordes gather to celebrate it’s iconic status as Europe’s centre of creativity and innovation. If you are an overseas client there is an abundance of exciting places to see, visit and dine in the area. We advise that if you are a lover of Banksy, or street art in general , we suggest you have available memory on your smart phone and a charged battery, because the photo opportunities are endless. The exterior of the atelier currently serves as a canvas to contemporary street artist Shepard Fairey, his work combines elements of graffiti, pop art, business art, appropriation art that attempts to stimulate curiosity and bring people to question their relationship with their surroundings. Tip: Have your camera at the ready, and don’t be surprised if you bump into one of your favourite celebrities like Madonna, David & Victoria Beckham, Rihanna , Jay-Z, Katy Perry to name but a few heading into Shoreditch House, a private members only roof top club with a pool, just opposite the entrance to the showroom. We look forward to seeing you at our new home soon!